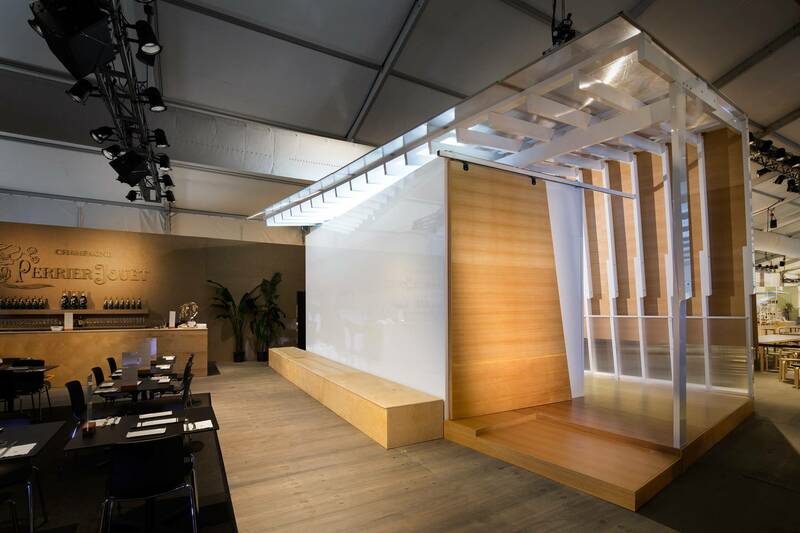 The Model Art Pavilion is a simple, elegant structure to experience art in any location - from a beach to a roof deck to a global art fair. It is a sculptural object and a frame for the dynamic presentation of art. 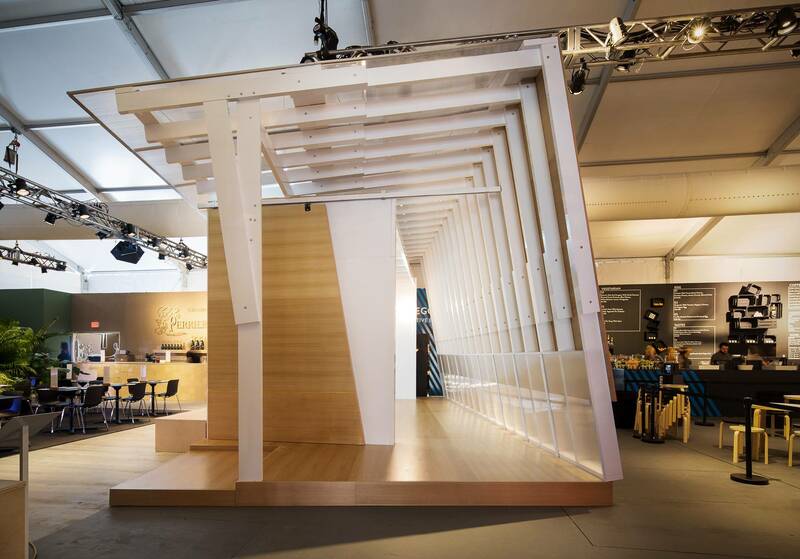 The pavilion features a pre-fabricated, hinged construction. 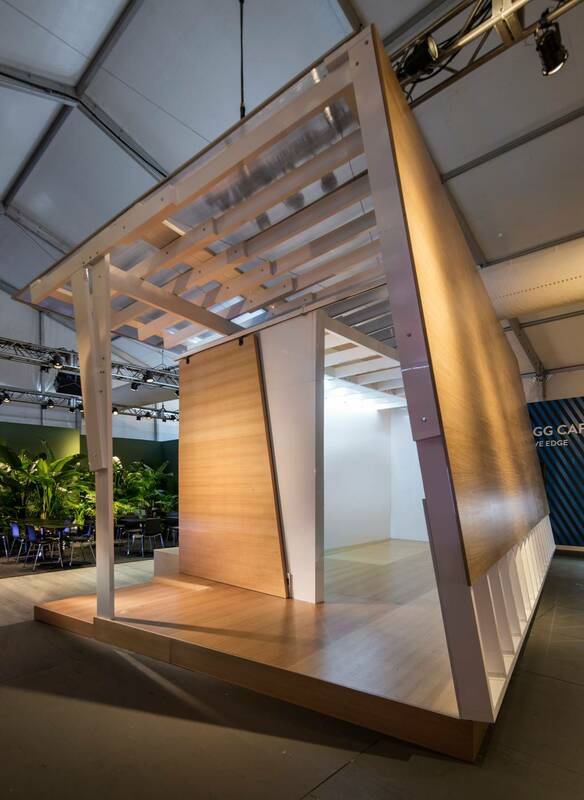 This design, comprised of comb-like panels, allows the pavilion to be unfolded from its shipping container, hinged, and simply bolted into place to form a larger enclosure at its permanent site. 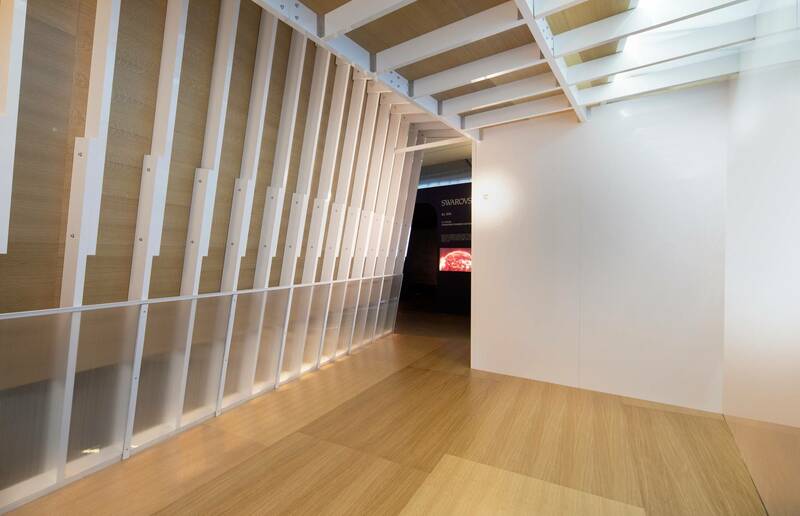 It is constructed from lacquered solid wood, plywood, and translucent polycarbonate. The interior is a clean white box, while the exterior is available in a range of colors. Slots at the edges of the space introduce reflected, diffuse daylight; access is through a sliding door. Elegantly mediating the relationship between the space, the viewer, and the art object, this compact pavilion comfortably accommodates several paintings or sculptures and a small group of people. Its potential uses extend beyond the art world; it can be used as an intimate music room, meditation space, or work studio.